Get original insights, informed comment, and thought leadership from the team as well as from our partners and customers, as we shape the market together. Keep up to date with our latest press releases, market insights and media coverage. Digital advertising offers advertisers the ability to reach their target audience with increased precision and reliability. But when it comes to delivering creative and emotive content, mobile is often treated as an afterthought. The IAB’s Mobile Steering Group – in particular Blis, the7stars, Weve, Celtra, and Ogury – have collaborated here to discuss the common mistakes people make when building mobile campaigns, what key ingredients are needed for creative success and how to use data to inform creativity. Mobile is the most used of all digital devices, making up 75 per cent of time spent online, yet creative assets are often designed without a mobile mindset. Repurposing TV, out-of-home (OOH), or desktop assets is common in the industry. Not only does this approach not utilise the full potential of mobile, it is also disrespectful to the user and the IAB’s Fit For Purpose research is a perfect demonstration of the detrimental impact this has on a campaign’s success. As well as repurposed assets, using poor copy and call to actions (CTAs) that fail to guide the user journey can lead to an unsuccessful campaign. With mobile often an afterthought, missed opportunities due to time and budget restraints can significantly impact the influence a campaign will have on a user. Choosing the cheaper and easier option, for example using GIFs over HTML5, can result in much lower user engagement. Think mobile first. The smaller screen of a mobile device requires advertisers to think mobile-first rather than simply adapting existing creative. Brands need to be conscious of the user experience but a smaller device does not mean that impact needs to be sacrificed. Think clarity, minimal wording, and clear CTAs. Take advantage of the inbuilt, unique, mobile tech. Understanding how the phone’s sensors can create a more seamless, mobile-first experience is crucial to success; utilise unique features such as swiping, shaking and 360 videos. Also, take into account that most engagement is focused within feeds (where it is harder to maintain a user’s attention) – ‘thumb-stopping’ creative is becoming increasingly important in a world of shorter attention spans and skippable formats. Make sure your content is contextual. Mobile devices are often joked about as being a technological extension of our own bodies; they go where we go. This makes mobile a truly unique device; it gives advertisers the opportunity to target consumers based on their physical environment, online behaviours and interests, all in real time. For example, for users on the move, a short ‘snackable’ video is appropriate versus longer form video being more appropriate when someone is relaxing at home. Data is fundamental. It dictates content, style, execution and provides key insights into the mindset of an audience, allowing for accurate and detailed targeting in real time. For example, location and weather data can be used to customise creative to match the user’s environment. Programmatic strategies across mobile also offer the perfect opportunity for creative testing. Being able to run multiple versions of an ad across a number of publishers means it is possible to really understand what works best for various target audiences. Utilisation of post-campaign data is equally as important in informing creative strategy. 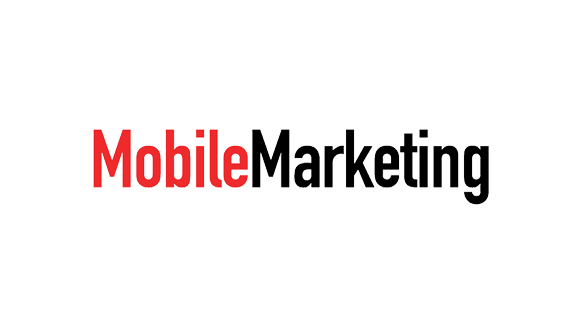 It can be used for live optimisation and future campaign creative ideation and helps understand how customers engage with different mobile formats. While utilising data correctly can produce truly bespoke creative, there is a fine line that should not be crossed, between relevant advertising and invading a user’s space. Remember not to simply do something because the technology enables it; it must fit into the brand’s narrative. Most importantly, creativity in mobile is as much about the visual output as it is about using rich mobile data in a creative way; successfully executing both will give your campaign a much higher chance of success. To read the full article click here. Company Blis is the global pioneer in location data. Our proprietary technology and platform helps agencies and brands use location data to better understand consumer behavior, allowing for effective targeted advertising to drive business outcomes.